Angola Capital Investments CEO Zandre Campos was featured in the Huffington Post discussing his insight on education in Angola. For Angola to grow beyond the oil economy, it needs to make strides in school - and earn more than passing grades. 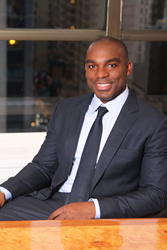 Angola Capital Investments (ACI) announced today that its CEO Zandre Campos was featured on the Huffington Post with his insight on education in Angola. The article entitled “School Daze: How to Stop the Brain Drain from Angola” originally published on the Huffington Post on May 5, 2016. Mr. Campos believes the education system can be improved through teacher training and a modern curriculum. Teacher training is a priority because skilled teachers create a skilled workforce. Modern curriculum is key because students need to be equipped with the competencies needed for the job market. Zandre Campos is the chairman and CEO of Angola Capital Investments, a leading international investment firm in Angola. ACI invests in companies in the energy, transportation, hospitality, healthcare, technology and real estate sectors. Angola Capital Investments (ACI) is an international investment firm that invests in companies in the healthcare, technology, energy, transportation, hospitality, and real estate sectors throughout Africa. The mission of ACI is to create global value for developing countries in Africa, while contributing to their economic development. Zandre de Campos Finda is one of the great, innovative business leaders and global entrepreneurs emerging out of Africa. Currently, he is chairman and CEO of Angola Capital Investments (ACI), an international investment firm headquartered in Angola with holdings throughout Africa and Europe. Prior to founding ACI, Mr. Campos was CEO of Nazaki Oil & Gaz S.A. He has held the positions of CEO of the mobile phone company Movicel Telecommunications and an executive in the office of the president of SONAIR, S.A., a subsidiary of Sonangol, Angola’s state-owned oil company that oversees oil and gas production. He began his career as a legal advisor with Sonangol Holdings. Mr. Campos also sits on the board of Sphera Bluoshen S.A., a subsidiary of Oshen Group and part of Sphera Global Healthcare. Sphera is committed to bringing high-quality healthcare services to nations around the globe with current activities in Angola, Morocco, and Rwanda. Sphera is dedicated to healthcare equality and accessibility. He is also a board member in Bluoshen S.A. and Boost - Communication & Strategy, S.A. and other organizations across the globe. Mr. Campos graduated from Lusiada University, Lisbon, with a degree in Law. Mr. Campos has dedicated his career to helping advance Angola and other developing nations. His work makes him one of the most socially forward and conscientious business leaders of our time. Through his entrepreneurial spirit and diverse business portfolio that is ever-expanding, Mr. Campos is creating thousands of new job opportunities and building stronger communities.